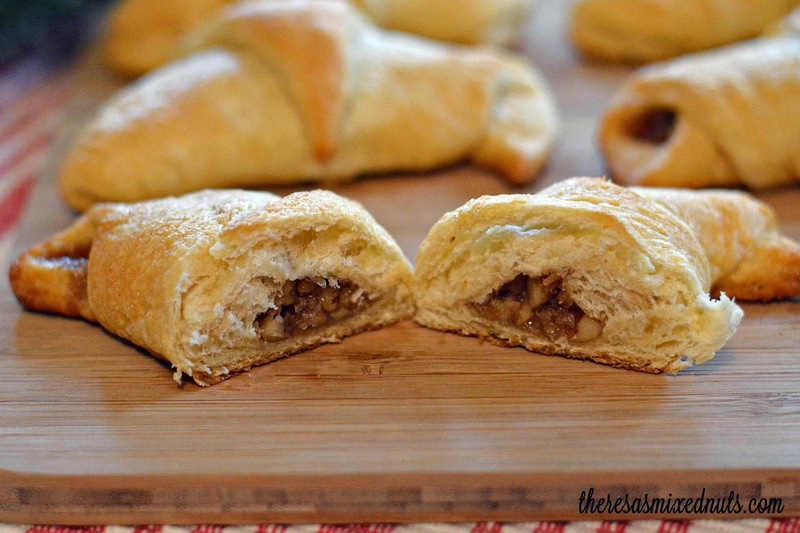 Theresa's Mixed Nuts: Walnut Crescent Rolls! Perfect for Christmas Breakfast! 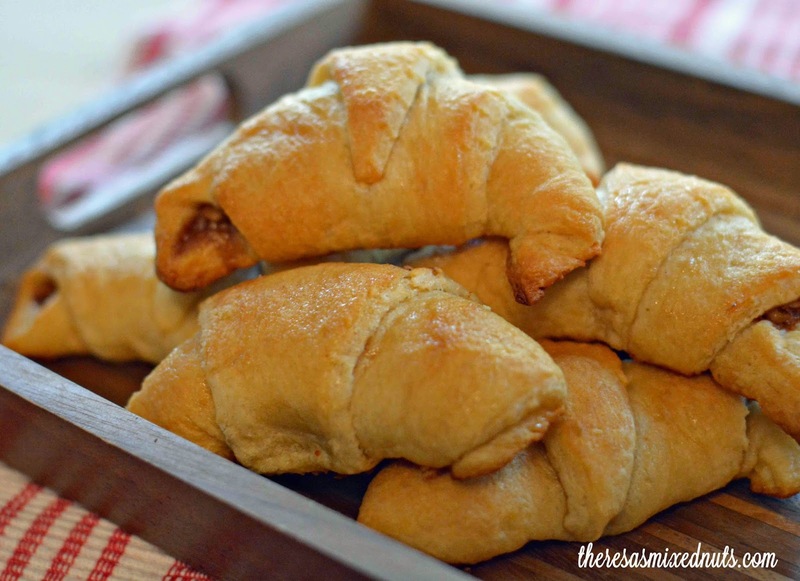 Walnut Crescent Rolls! Perfect for Christmas Breakfast! One of my absolute favorite Christmas traditions is hosting a family breakfast every year. Jason's entire family comes to our house for homemade blueberry waffles, as well as many other breakfast fixings, and we get our grub on! This Sunday will be our annual breakfast, and in order to keep things fresh, I like to throw in a new recipe each year. Of course, Golden Blossom Honey has been my go to for recipes, so I knew I was going to find an amazing recipe to toss into the breakfast mix. If you hvaen't checked out the Golden Blossom Honey recipe page, I highly encourage you to go now. They have tons of delicious honey recipes for every possible occasion! I was nearly drooling thinking about these Walnut Crescent Rolls, and ended up making them for Jason's birthday last night. "OMG! These are good! These are really good!" He kept saying. My entire batch was gobbled up in no time, so these are definitely going on our Christmas breakfast menu this year! 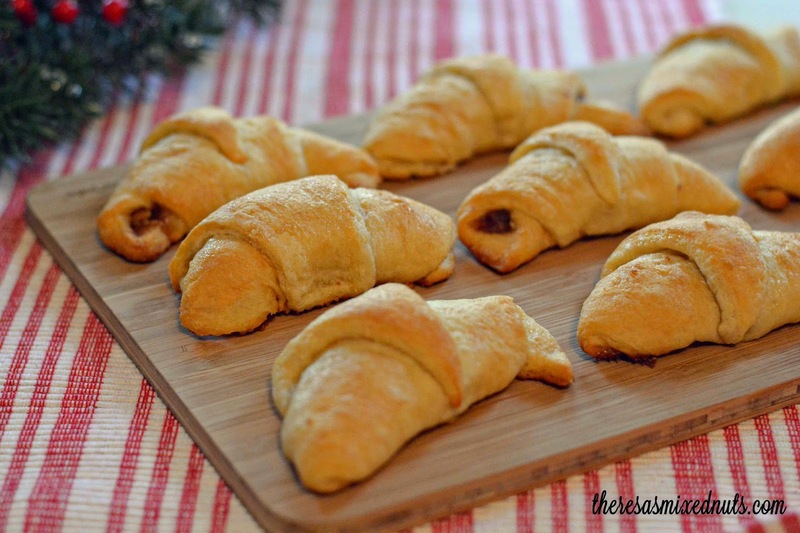 The crescents are so simple to make! The sweet and crunchy center is close your eyes and chew good! Heat ¼ cup honey and butter in a small saucepan. Remove from heat. Separate rolls according to package directions. Place on wax paper. Brush each side with honey butter. Mix together remaining 2 tablespoons honey, nuts and cinnamon and sprinkle on rolls. Roll crescent style and place on cookie sheet. Brush tops of rolls again with honey butter. Bake for 8 minutes. What is your favorite breakfast food? What would you like to have served at a family Christmas breakfast? I usually make pancakes on Christmas, but these would make a nice addition to those I think. Plus, a variety of foods is always nice, right? What? You have rolls in cans? You sure are making good use of that Golden Blossom Honey. Those look fantastic. Oh yummmmmm! I'll take two please. I'll bring the coffee and be right over. You make it all look so easy, Theresa. I'm afraid if I tried this one, they'd end up looking like gobs of goop. But they'd still taste yummy, so that's what counts. Those crescent rolls not only look temptingly delicious--which I am sure they are--but I think I might be able to make them! I always have Golden Blossom Honey in my apartment-Life just wouldn't be as sweet without it! Ooo, that's a good idea! I love how crescent rolls bake, anyways, but the walnuts are the perfect addition! Oh my - I'm drooling. I can smell those through the internet(smile). I might add a slight dusting of powdered sugar - might. I bet these are amazing. They remind me of the Little Debbie pinwheel cakes in a way. Oh boy! I'm adding these to my Christmas menu. I'm big on walnuts anyway. These look so tasty! I love walnuts, and anything made with crescent rolls. I would definitely serve these. My family would love them. I guess we love egg dishes too. I will have to get thinking about Christmas brunch this weekend. These looks so delicious. Nothing is better than natural honey. Crescent Rolls I have lots in my fridge waiting to be used up. I would never think of wallnuts in them though. I have got to try it. You made the crescent rolls look so good. You know it's good when your husband repeats it to you. :) You'll get no arguments from me, those look and sound great! Christmas breakfast? What's that! :) I do think this looks like a nice thing to try. Now those look yummy. I will have to give those a try. YUM! Love that there's honey in this. I love bacon for breakfast! These look like awesome rolls. 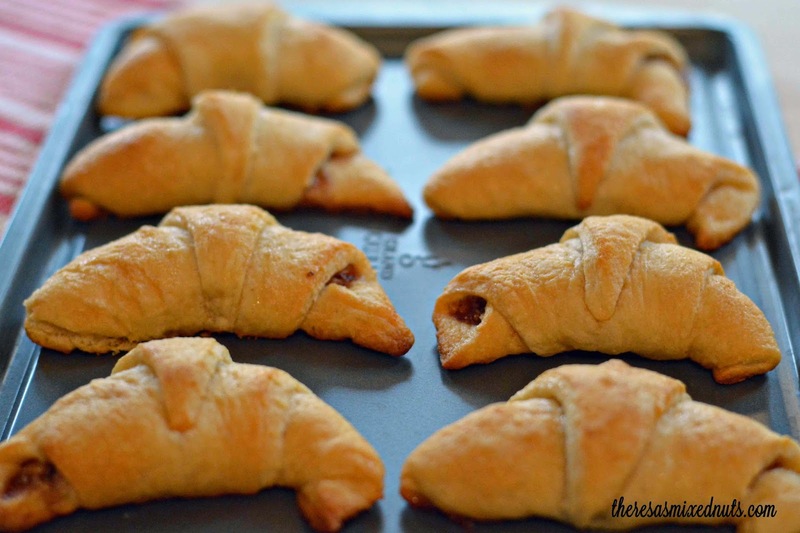 I love crescent rolls enough already, so these are just great! This looks so delicious. I make Crescents all the time and never thought of anything like this. I will have to try this tomorrow. These look so good! My mom makes rolls, and I'm bringing my june berry jam to go with them. Lots of fat and sugar in this one but for Christmas it would be worth it. Looks like a simple recipe. I am not a huge walnut fan but these really so sound tasty. I bet my mom would be thrilled if I made these for her. Being allergic to nuts I won't be able to use walnuts but would love to add cherries to this and try this for myself. Great for the holidays! These looks so good and perfect for cold mornings! I am going to have to try these!